After a rather lengthy hiatus from blogging I’m back! Before I tackle any serious topics, I’m going to start the last month of summer with a travel post to help you to have some fun in the sun before Labor Day arrives. Here we go! 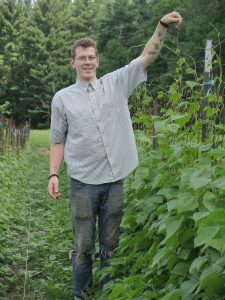 This sustainable, educational farm in Sheffield, MA isn’t on the Cape. However, since we had to pass through the Berkshires to get there and I’m a huge supporter of farmers of all ages, I included it. My nephew Curtis, a recent college graduate from the University of Puget Sound, has been working with Farmer Dom for some time now so we were excited to finally have an opportunity to take a tour of the working farm. Moon in the Pond provides a fascinating introduction to farming in that it offers live examples of the many different ways a young (or old!) person could choose to farm the land. 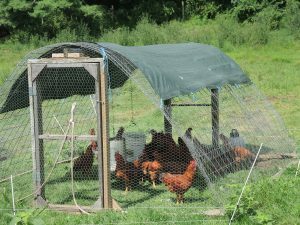 They raise fairly small batches of animals and birds-pigs, chickens, ducks, sheep, and one cow-along with growing crops like hazelnuts, tomatoes, raspberries, and potatoes. It was obvious that Curt had a clear idea of what they were doing and why they were doing it and the spirit of innovation, flexibility, and collaboration was evident in every part of the farm. 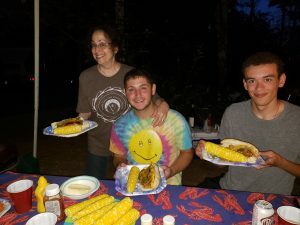 Being able to see, hear, smell, and feel a working farm is a sensory experience that every child, and many adults, could definitely benefit from, especially given many people’s current disconnect from the food they eat and the farmers who grow it. Moon on the Pond also offers a realistic look at the many challenges todays farmers face and the amount of hard physical work, perseverance, and dedication it takes to become a successful steward of the land. There’s store on site where visitors can purchase various cuts of meat so don’t forget to pack a cooler. We went for the hot Italian sausage-delicious! Two places get my vote for this category. Cape Cod Creamery in Hyannis for their six scoop “ice cream flight” and the Sundae School in East Orleans for their delectable fresh peach ice cream (I still salivate thinking of it five days later!) 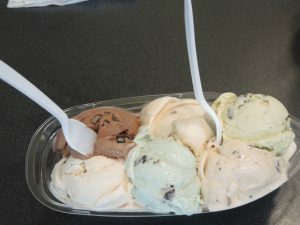 At the Creamery our group’s favorite items were the Dennis double chocolate (with a touch of cinnamon), Bass River Black Raspberry, and the Craigville Caramel Crunch. The waffle cones were also a high-scorer. As always, Nickerson State Park in Brewster is the winner. 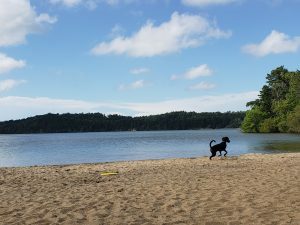 With the clear, warm water of Cliff Pond to swim, float, and boat in, the bike trails throughout the park, ranger programs, and its inclusive, family friendly atmosphere it simply can’t be beat. Tents and RV’s welcome! 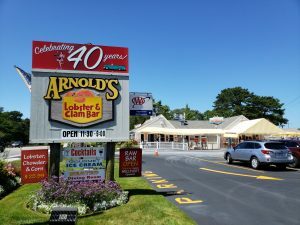 Though we try to eat somewhere new every year, we always return to Arnold's Lobster & Clam Bar in Eastham. Even the sometimes-long line to get in doesn’t deter us. They are simply the best. The fact that they’re on the Cape Cod Rail Trail so you can alleviate your sense of guilt about eating a fried meal by biking there doesn’t hurt either! This year we splurged and took a Dolphin Whale Watch out of Provincetown. 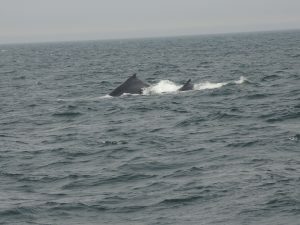 It was worth every penny as we saw Minke, Finback, and Humpback Whales, including a mother and her baby! The naturalist on board was informative and the boat ride itself on the open seas was lovely. We all agreed that whale watching-like a ball game or a concert-is something that’s more fun when done with a diverse group of people. The enthusiasm that accompanies a spotting is contagious!